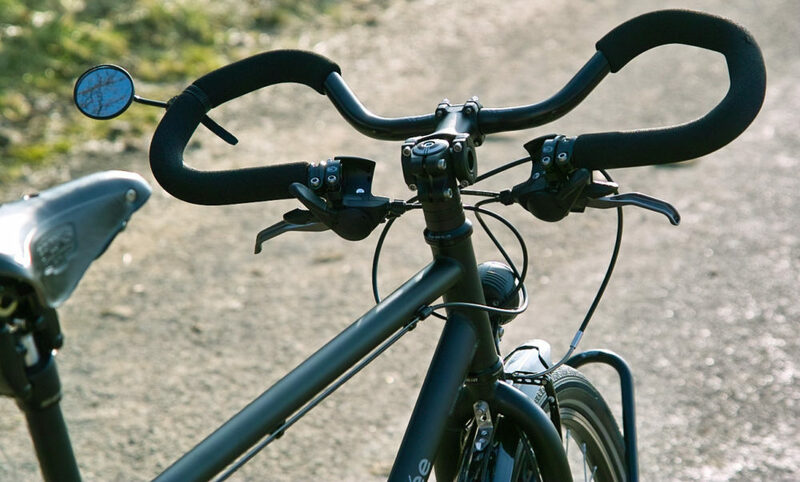 Like a saddle, the choice for a touring handlebar is highly personal – the best way to work out what suits you is to give lots of different styles a try. Touring can sometimes be really difficult, with long days on rough roads and windy conditions. A handlebar with various hand positions will increase your overall comfort by allowing you to change your hand position often. This is the key to a good touring handlebar and is why you won’t find too many flat handlebars on stock touring bikes. Changing your wrist position regularly will relieve stress points on your hands and will change the muscles you’re using in your arms, shoulders and back. By ‘sharing the load’, your body will be less fatigued at the end of the day. Some cyclists are affected by Carpal Tunnel Syndrome (CTS). CTS is pressure on the median nerve – the nerve in the wrist that supplies feeling and movement to parts of the hand. It can lead to numbness, tingling, weakness, or muscle damage in the hand and fingers. 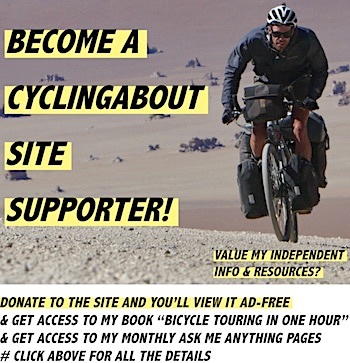 If you tour with a bar that has limited positions and are affected by any of the above symptoms, a handlebar change may make a big difference. Your body posture on a bike is mostly due to your bikes frame size – a handlebar alone will not set you up for all-day comfort. Your bike frame needs to be a size that isn’t too stretched out and should be high enough in the front to keep your neck and back in check. The ‘ideal’ position depends on a lot of factors: your flexibility, your body proportions, your fitness levels, any injuries you’ve sustained, your saddle choice and any medical conditions you may have. For beginner tourers, a good start is to have the top of your handlebar an inch or two (3-5cm) above your saddle height. You can then drop the height of your handlebar until you are comfortable. 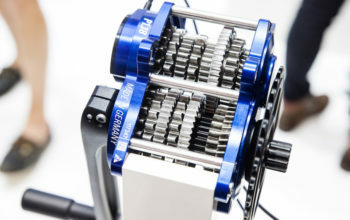 With time, more flexible cyclists (especially those with road biking experience) will be able to ride with handlebars at the same height or lower than their saddle. Less flexible cyclists, or those seeking an upright position will do well with their handlebars considerably higher than their saddle. 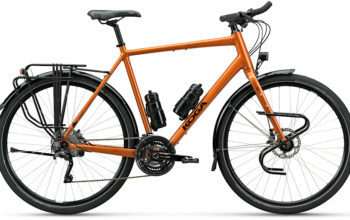 People who are not confident riding bicycles (especially ones loaded with heavy panniers and in traffic) should be warned that road handlebars make a bicycle more difficult to handle, when compared to the same bike with trekking or flat handlebars. This is due to the fact that road handlebars are narrow and have less accessibility to the brakes. If you are inexperienced, I highly recommend touring with a trekking or flat handlebar first, before using a drop handlebar. 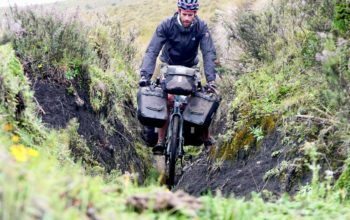 Tom from TomsBikeTrip builds his custom expedition bikes with flat handlebars. The frame size that you choose with a drop handlebar will be different to a bike using a trekking or flat handlebar. 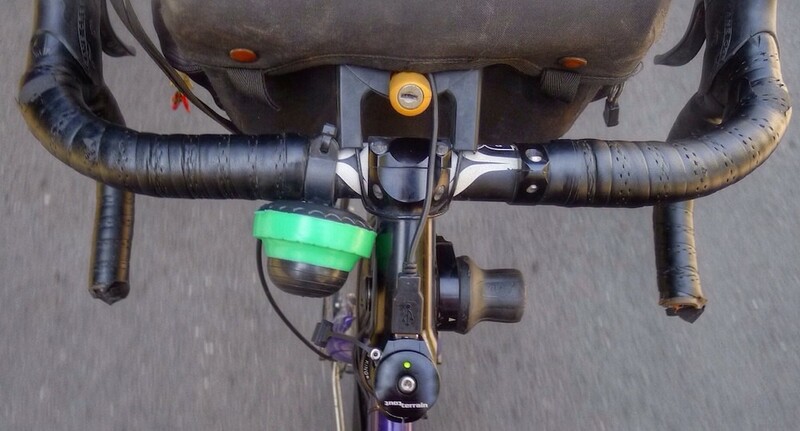 On a road handlebar you are fitted most comfortably in the ‘hood’ position at the top of the brake lever. 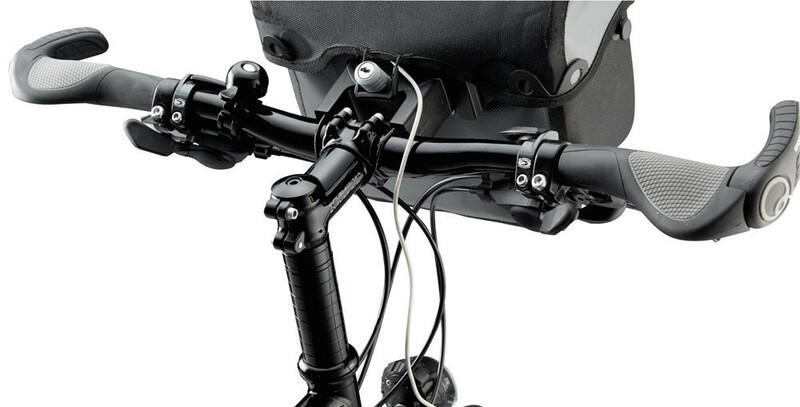 This hood position results in a longer overall reach by approximately 50mm, compared to a flat handlebar. Bike manufacturers build the reach of their bikes to suit certain handlebars. They increase the length of the top tube by about 50mm when designed around a flat handlebar. 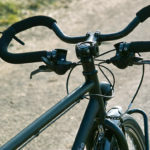 That doesn’t mean you can’t run a road handlebar on a bike designed for a flat handlebar – it just means that you may need to go a size or two down to get the appropriate reach for you. The classic touring handlebar option for its multiple hand positions, both low and high, as well as near and far. 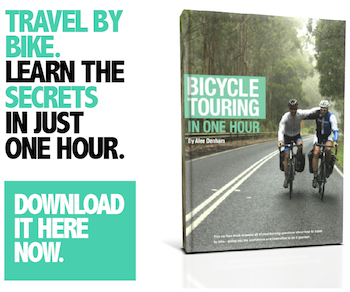 It’s best suited to experienced cyclists. The most popular handlebar option for round-the-world cyclists because it offers lots of hand positions and is wider than road handlebars. Flat handlebars can be great if the right handlebar is used. I generally recommend bars with over 10 degrees of sweep for a more natural hand position, as well as the use of barends for a second hand position. Road, flat and butterfly handlebars don’t suit everybody. 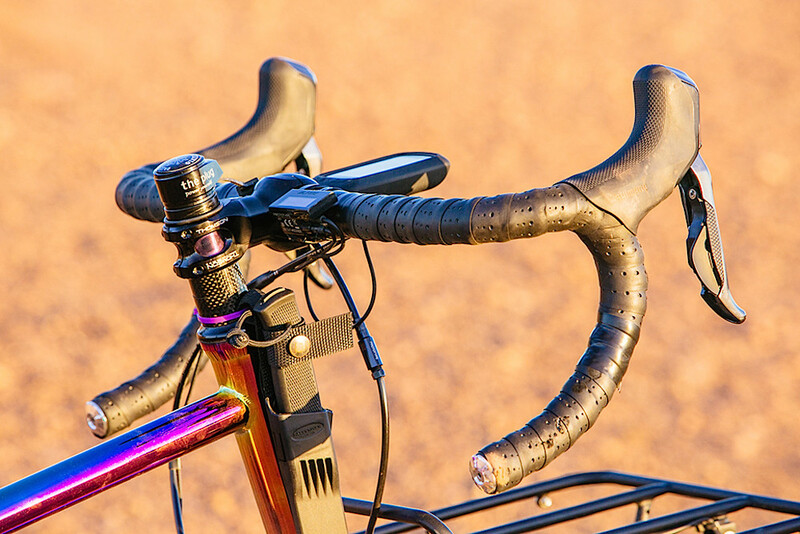 There are sub-categories of handlebar styles available including Casey’s Crazy Bar, the Jones Loop, the Hornbar and flared road handlebars which are also popular for bicycle touring. 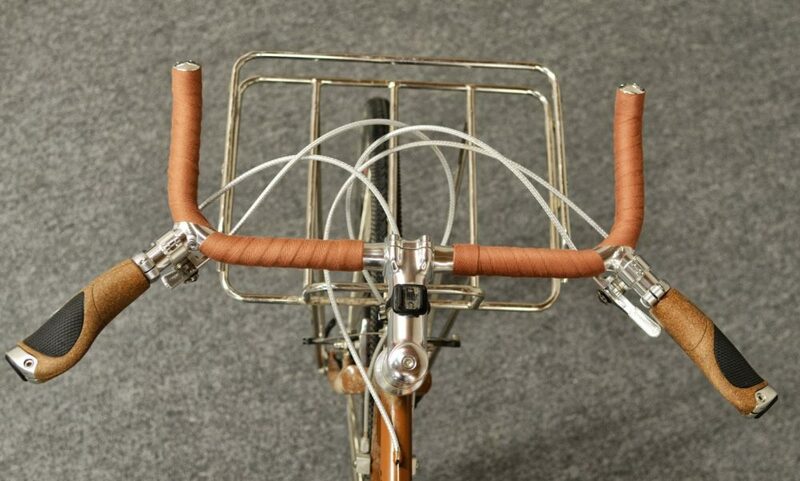 I’ve put together a list of these alt handlebars in a resource found HERE. 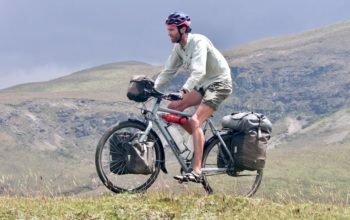 – A bicycle touring handlebar should offer multiple hand positions to keep you comfortable and reduce the risk of Carpel Tunnel Syndrome. It’s handy to be able to change the stress points on your hands, arms, shoulders and back as you ride. – If you’re a beginner or don’t feel 100% comfortable riding a bike yet, I recommend avoiding road handlebars as they’re not as confidence inspiring as trekking or flat handlebars. – Road handlebars offer both low and high, as well as near and far body positioning – making them great in the wind or for fast riding. 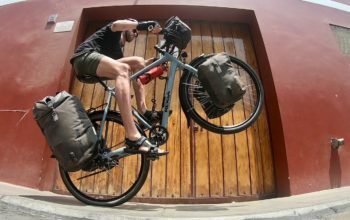 – Trekking handlebars are the most popular handlebar for round-the-world cyclists because they offer good leverage, MTB shifter/brake compatibility and multiple hand positions. – Flat handlebars are the most limiting in terms of hand placement, but with some bar-ends can be great to tour with. The advantages include control at low speeds, leverage for climbing and space for accessories. – Alt handlebars can be a brilliant option if you’re looking for something with features from multiple styles of handlebar. Check out my list of alt handlebars HERE.